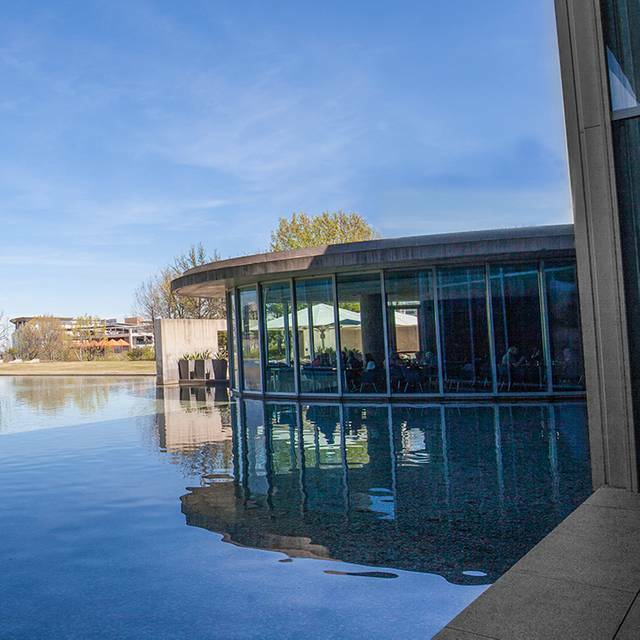 With its stunning location in the Modern Art Museum of Fort Worth and its serene, reflecting-pond backdrop, The Modern can host an impressive corporate event or the wedding reception of your dreams. From start to finish, our team of planning professionals will handle every detail of your event. Our staff will prepare your food with the same care and attention they provide our individual café customers, and will make sure your special event is nothing less than a masterpiece. 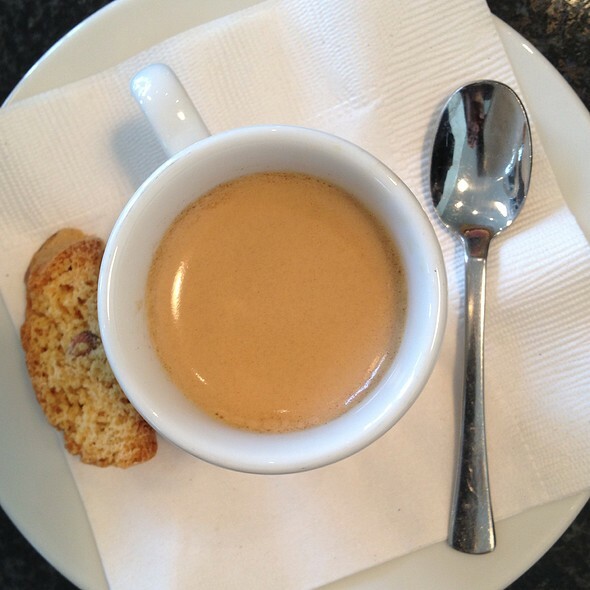 For more information, rental costs, availability and menu selections, contact Café Modern. 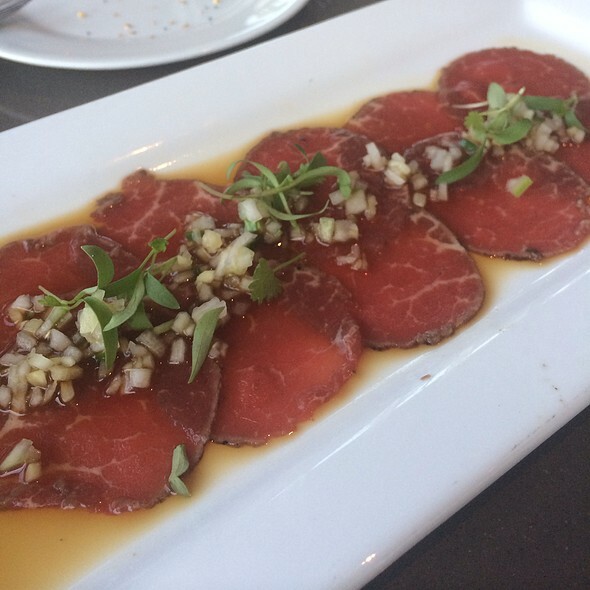 Café Modern chefs blend seasonal, local ingredients inspired by culinary traditions from around the globe. 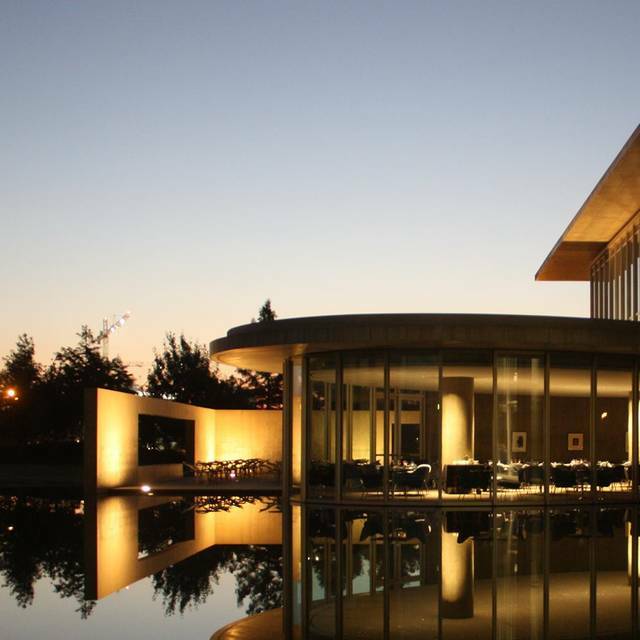 Their artfully crafted cuisine is served against the backdrop of Tadao Ando’s world renowned building in the celebrated Fort Worth Cultural District. Whether enjoying a weekday lunch, Friday night dinner or a relaxed weekend brunch, our genuine hospitality will ensure a memorable dining experience. Happy Hour Friday's from 4 to 7 with half price beer and wine! Super fun staff. Great wait staff! I took business women there, and we really enjoyed it. It's always a great time. The food was delicious and it is a nice view overlooking the water, but service was poor. The server was not attentive and I had to ask for the bill 4 times before getting it. We were almost late for our performing arts matinee show. Wonderful spot to host friends overlooking the water and the lights of the Modern. The ambiance is great. We enjoyed the short ribs this evening particularly. The service is very attentive. Definately will return on another Friday night! Rather disappointed. Despite being only half full, service was fair at best. Flavors were good, but my pork chop was very fatty, and about 25% inedible--not good for the price. I love the ambiance, and a great Fri night "date night" location, but not worth the prices in my opinion. The atmosphere is fabulous and the food is an excellent value. Great menu that changes with the season. The quiche was extremely good. The waiter was very attentive and the view outside the window was very calming by the waters edge. The view is very hard to beat and we had great service considering our table for 2 turned into a table for 3. 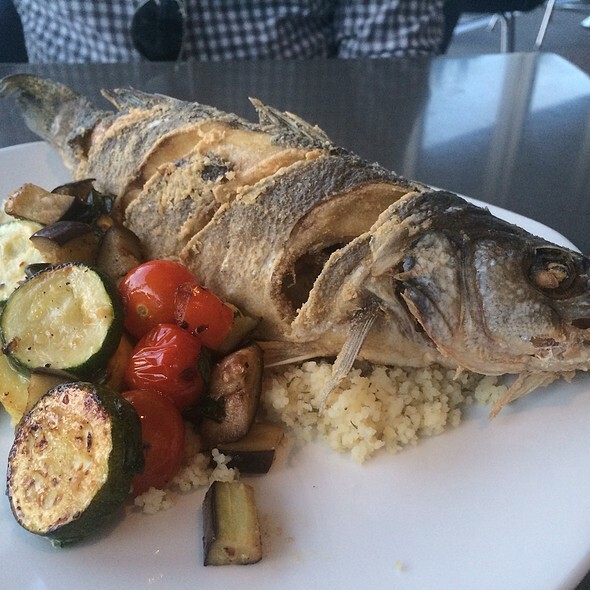 However, the food was very heavy handed on the salt. The third member of our party was the only one to order chefs plate and it was far better than the other two menu items. I would recommend ordering the chefs plate no matter what. The other meals were so salt and sour it took away from the overall experience. My mother and I used open table to book a reservation while we were attending a dance convention for my daughter at Will Rogers. I explained we were on a tight schedule. Our waitress was wonderful! The food and service were terrific. Five star experience. To be fair, this is the first time I've had an issue at Cafe Modern. I had a reservation at 12:00P, upon arrival I checked in with the host who informed me my table wasn't ready but it would just be a few minutes. It took 30 minutes to be seated, the host somehow thought (thought because I never asked for it) that I wanted a particular table which had people having lunch when I arrived. Never did it occur to the host to ask if I wanted a specific table or any table would be fine, he took it upon himself to make the decision. The food was cold but I did not want to send it back as I had already complained about the 30 minute wait and didn't want something going wrong with my food. After finish our entrees, we weren't asked if we wanted coffee or dessert, our check was presented to us. They must have been eager to get rid of us. Love this place and once again it was a wonderful dining experience. But I was a bit disappointed to learn that the museum no longer offered free Sunday admission so it got me wondering, why doesn’t the Cafe offer incentive to its dinners for a free admit after you dine or at least a discount!? Lovely Saturday brunch. Daniel was a wonderful server. The service was no adequate for price level. Bred basket was not offered, the water was spilling coffee all over the cups, sun was in our eyes with no protection. However, appetizer was really good. Steak was decent. We tried it once, there are other restaurants in the area that are better. I go here often in spite of the fact that the food is mediocre. The descriptions are lovely and if you stick to the omelet or hamburger you are ok. The salad descriptions are lovely but always are heaps of lettuce with a scant amount of the promised fruit or other vegetables. This time the chicken that my daughter added at additional cost was tough and dried out. My Reuben Sandwich was so greasy that I could only eat half. If the Modern didn't have such lovely movies, which makes eating here convenient, I doubt that I would eat here except for the lovely atmosphere and service. Have a drink or coffee and dessert--that's safe. Absolutely outstanding, as usual. Daniel is so attentive and anticipates a diners needs. We just love him and always try to get him as our server. Such thoughtful and delicious dishes are a delight every time! Dan was an amazing server that really made an impression with everyone in the group. 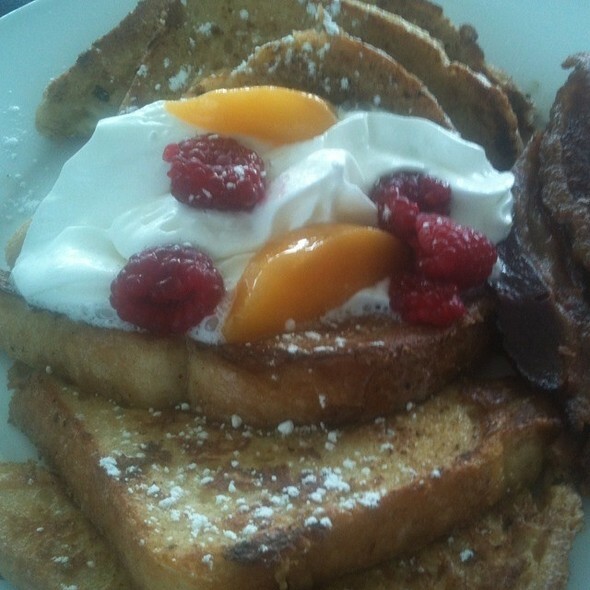 Wonderful brunch that is one of our favorites in town! Setting is beautiful and menu very interesting. The room is very loud, making conversation difficult. Server greeted us promptly, got our drinks and order and then all but disappeared. I had to get salt and pepper from another server. Drink refills didn’t happen till the end of the meal. The tuna dish was artistic and delicious. Went for lunch and enjoyed everything about our visit, top notch. The only problem was the menu on the open table app was not the same as what was actually able to purchase. 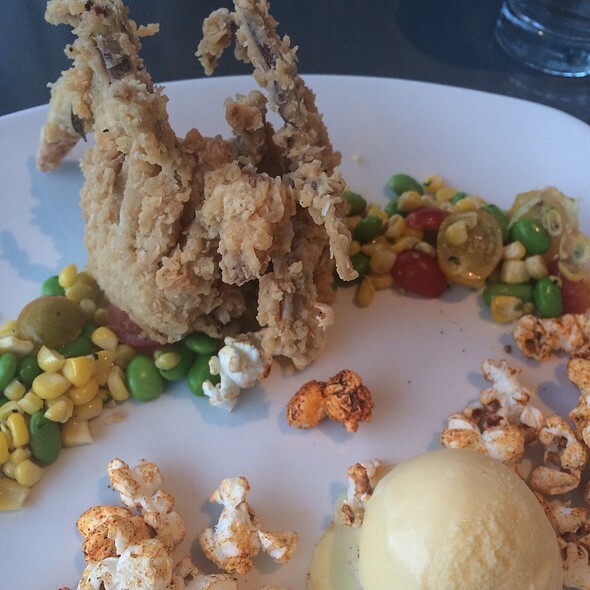 Service and food are always impeccable and you couldn't ask for a better view. It's all the little details that make this a place I keep coming back to. I might go back for wine and apps but was not impressed by our dinner. We had the crab cake special appetizer but I’m not sure there was any crab meat in it. It tasted like filler only. The short rib was dry, like they forgot to put a sauce on it. And we didn’t understand the pomegranate seeds on top. The cauliflower fritters were great and we also enjoyed the cheese plate. It was an elegant evening for us. Nice atmosphere. The vegetables were excellent, the beef was a little dry. Once was a great place to eat and then in Oct, Nov, and Dec it seemed to go down hill rapidly. We only returned because we were attending an event at the museum and saw it seemed to be recovering based on reviews. Doubt we will ever return. Service was terrible. My wife must have gluten free and the server brought her contaminated food. Food was cold and average at best. Not worth the price. The cauliflower fritters were delicious, as was were the braised short ribs and the swordfish special. Great food. Beautiful setting at night. Half price bottles of wine Friday night was a wonderful surprise. Dinner and a movie - a great night. It was our 1st time at Cafe Modern and we absolutely loved it. It was a nice romantic date with music playing on Friday night and the scenic view outside. The food was also delicious. I definitely recommend the seared tuna. Amazing grilled pork chop 1.5 inches thick and cooked to perfection. Great service and ambience! A beautiful and delicious place to dine whether you are there to see the museum or are doing other things in the area. First time to Café Modern and was extremely pleased. The diversity and uniqueness of the dishes really made it fun and all five of us thought all our dishes were excellent. The only disappointment was that for some reason we thought it had a buffet for Sunday brunch, but not. We came for brunch. The food was good, not great. We ordered two mimosas each. I guess the original with OJ was on special, though I didn't realize that to get one that was offered with grapefruit juice was twice the price. The food items are supposed to be better quality, so I guess that explains the higher price, but I think I can do better elsewhere. The view from the restaurant looking outside was nice, but the view inside, very so-so. Nothing special. The service was good. I liked that you could have conversation with others at the table(not too loud). Entrees were excellent. I never order chicken dishes at restaurants as chicken is a staple item and easy to make. The boneless skin-on chicken breast was the best I've ever had. Perfectly crispy skin, moist & well-seasoned meat. Prosciutto in salad expertly crisped. Shrimp appetizer not worth ordering. 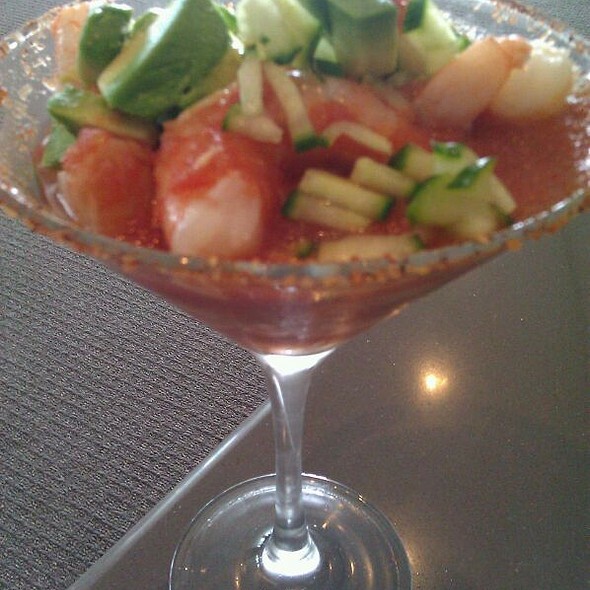 Tasted like standard shrimp cocktail served in always-difficult-to-navigate martini glass. Ambiance relaxing between indoor & outdoor lighting and stillness of the gazing pond. As usual for a restaurant on a Friday, a bit loud inside, but did not take away from views. Bar understaffed, making drink service take long. Service was prompt and friendly on all other counts. Will def return. Four of us came for Friday dinner. The service was good and I liked that it was quiet enough for us to have conversation with each other. The view outside was nice, but the view inside was nothing special. Food was good, not great. 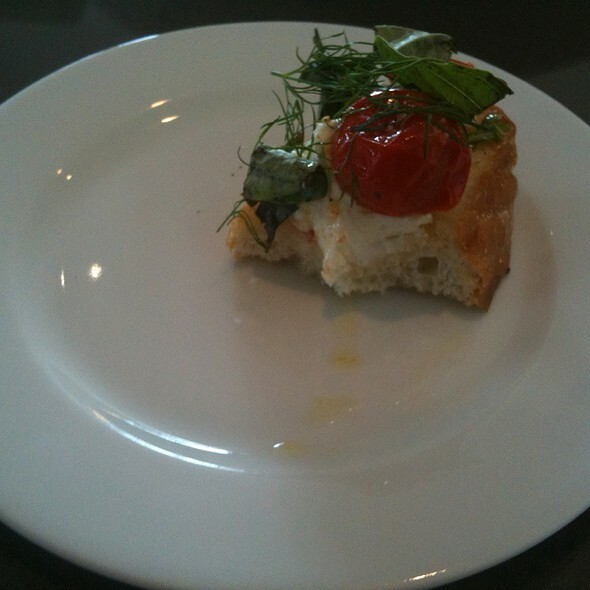 The portions were very small. I think we all left hungry even after ordering dessert. I understand that the meat and produce are of better quality, but I was not satisfied with the value of our meals and drinks. For those reasons, I will probably not return to dine at this restaurant. Such a quiet and great place to dine. The food is exceptional as well as the service. Would definitely recommend this restaurant to all! The food was okay, the setup was nice, our server was kind of terrible. Refills on coffee took nearly the entire meal, we ask for more bread and it came toward the end of the meal. She also took the breadbasket when we were done with our food without asking if we were done. I was annoyed the egg options didn’t specify if the eggs were pasture raised in addition to cage free so I skipped those options. Overall it was a fun experience and I would recommend if someone wanted so,etching different but still affordable.